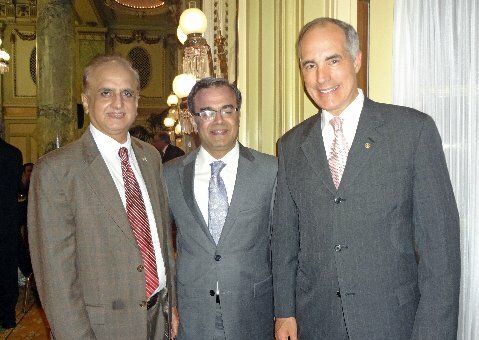 Senator Robert Casey received a prestigious award from South Asia Journal of Washington DC. Several Ambassadors,Congressmen, Diplomats from south Asia attended the award ceremony in an eloquent Willard Inter continental Hotel. Senator praised and enjoyed Interfaith dinner in Islamabad Pakistan last year and said engagement with Pakistan is important. 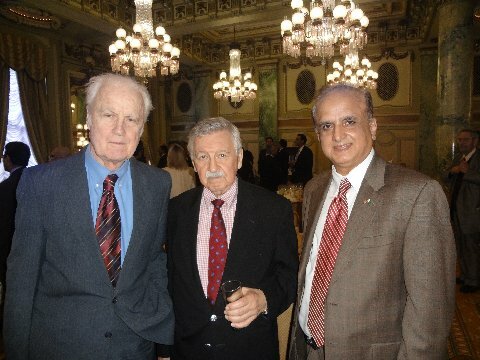 Left to right Pakistan Diplomat Dr. Inayat Kathio,Pakistan Diplomat Deputy chief of Mission of Pakistan Embassy Washington DC Dr. Asad Khan and Honorable Robert Casey.